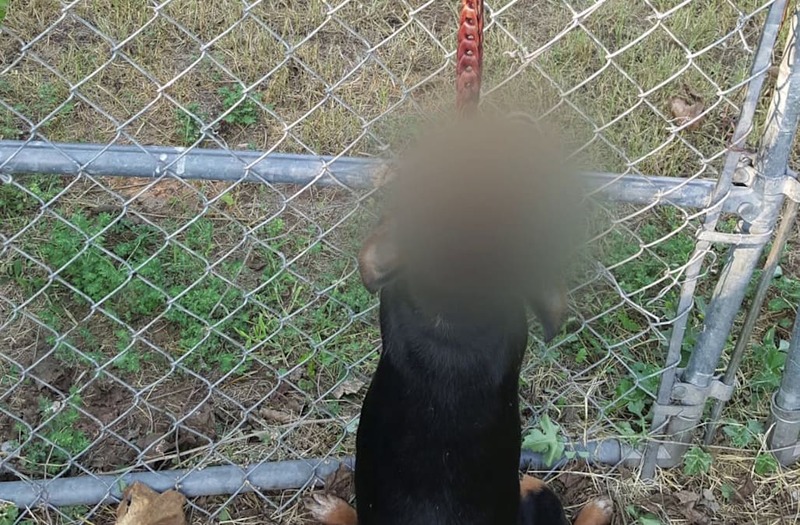 OKLAHOMA CITY (KFOR) -- A metro woman wants some answers after a puppy was found hanging from a fence. Tamantha Aebischer, who took pictures of the scene, said the deceased dog had a leather belt tied around its neck and a key hook was used to hang the dog from the fence. Some people in the area alerted her to the scene, and she called police. Aebischer and her husband then took down the dog. A woman said she called police after finding a deceased dog hanging from a fence near her home with a belt around its neck. A woman who lives at the home where the dog was found said the dog wasn't hers and she, too, called authorities. She said animal welfare came and got the dog days later. Aebischer said she wants to know how someone could do this, why nobody stopped it and why investigators didn't come out immediately. She also has a message for the person responsible. "They need to go to jail for what they did," she said. "And, they’re probably a mixed up, distorted person." We reached out to animal welfare but haven't heard back.